Click here to know more about Renault KWID. 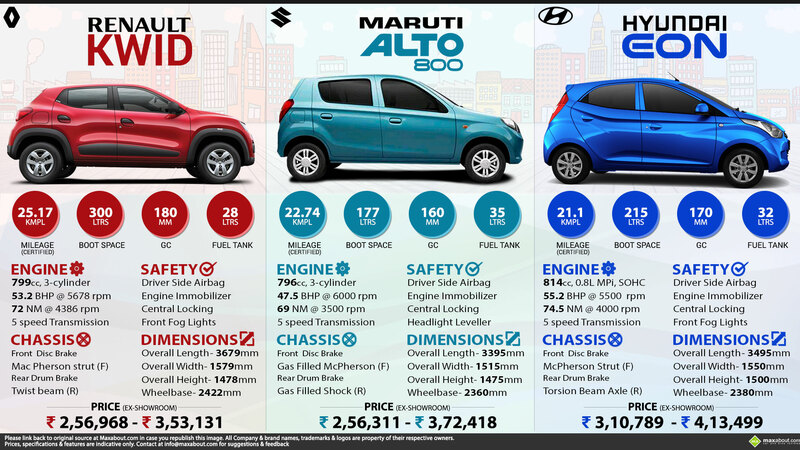 Click here to know more about Maruti Alto 800. Click here to know more about Hyundai Eon.